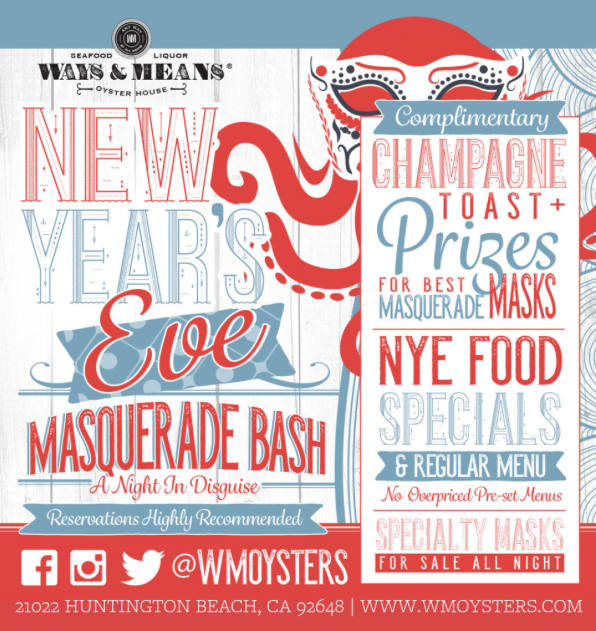 Ways & Means is hosting a NYE masquerade bash & YOU’RE INVITED! Enjoy a complimentary champagne toast at midnight, food specials, contests + masks will be available for purchase all night long! Can you make it until midnight? Follow @wmoysters to learn more!